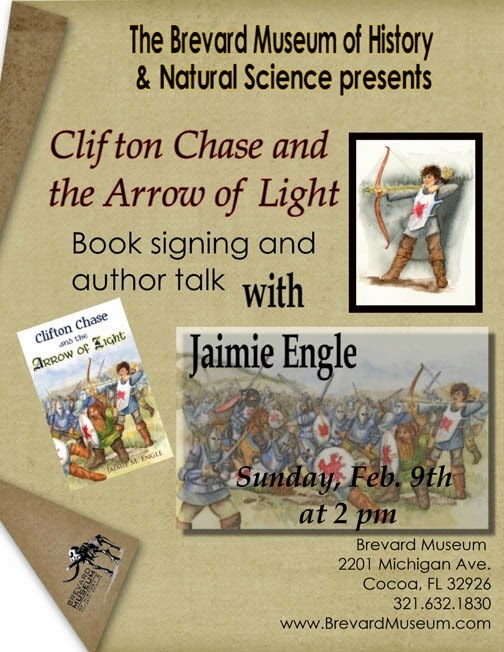 The Brevard Museum of History and Natural Science is hosting Author Talks on Second Sundays at the museum, this upcoming February 9th, 2014. The Brevard Museum is excited to welcome local author, Jaimie Engle, for a presentation at 2 pm. Jaimie Engle will be speaking about the writing process and, in particular, how her novel Clifton Chase and the Arrow of Light came to be. Jaimie has been published in Florida Today, Space Coast Living, Clubhouse Jr., among others. She is involved in the community through class visits, tutoring, and writing instruction. Jaime has had the honor to speak at various conferences, including The Space Coast Writer’s Guild 2014 Writing Conference in Cocoa Beach. Clifton Chase, protagonist of Clifton Chase and the Arrow of Light, is a bit of a local hero who gets transported through time to have fantastic adventures. Jaimie has created a wonderful historical fiction that is an interesting read for any age, although targeted for children. To read, for free, the first six chapters of Clifton Chase and the Arrow of Light or to find out more the author, Jaimie Engle, check out her website at www.jaimiengle.com. 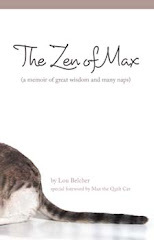 Author Talks is a unique platform for local authors to showcase their work. Exhibiting local authors is an endeavor that would have been supported by Grace Taylor, local settler of Cocoa. The estate of Grace and Albert Taylor was preserved for a museum to give new generations a glimpse at a past lifestyle. As a published writer herself, Grace would have enjoyed Author Talks. The entire Museum will be open during this event; attendees are welcome and encouraged to see all the exhibits offered. The Brevard Museum focuses on Florida history, from prehistoric to pioneer. The only Windover Archaeological Dig simulation is located in the Winchester Wing, along with Mims pioneer Selena Roberts, the Hall of Mollusks, and other exciting exhibits. Located in the Grace and Albert Taylor Wing, the By-Gone Beasts exhibit displays iconic ice age mammals and fossils, featuring Bones the Mastodon.